The Internal Revenue Service is taking additional steps during the 2013 tax season to protect taxpayers and help victims of identity theft and refund fraud. Stopping refund fraud related to identity theft is a top priority for the tax agency. The IRS is focused on preventing, detecting and resolving identity theft cases as soon as possible. The IRS has more than 3,000 employees working on identity theft cases – more than twice the level of a year ago. We have trained more than 35,000 employees who work with taxpayers to recognize and provide assistance when identity theft occurs. Don’t carry your Social Security card or any documents with your SSN or Individual Taxpayer Identification Number (ITIN) on it. Don’t give a business your SSN or ITIN just because they ask. Give it only when required. Protect your personal computers by using firewalls, anti-spam/virus software, update security patches and change passwords for Internet accounts. If your tax records are not currently affected by identity theft, but you believe you may be at risk due to a lost or stolen purse or wallet, questionable credit card activity or credit report, contact the IRS Identity Protection Specialized Unit at 800-908-4490, extension 245 (Mon. – Fri., 7 a.m. – 7 p.m. local time; Alaska & Hawaii follow Pacific Time). Your state or federal benefits were reduced or cancelled because the agency received information reporting an income change. If you receive a notice from IRS and you suspect your identity has been used fraudulently, respond immediately by calling the number on the notice. If you did not receive a notice but believe you’ve been the victim of identity theft, contact the IRS Identity Protection Specialized Unit at 800-908-4490, extension 245 right away so we can take steps to secure your tax account and match your SSN or ITIN. Also, fill out the IRS Identity Theft Affidavit, Form 14039. Please write legibly and follow the directions on the back of the form that relate to your specific circumstances. Report incidents of identity theft to the Federal Trade Commission at www.consumer.ftc.gov or the FTC Identity Theft hotline at 877-438-4338 or TTY 866-653-4261. File a report with the local police. Close any accounts that have been tampered with or opened fraudulently. The IRS is working to speed up and further streamline identity theft case resolution to help innocent taxpayers. 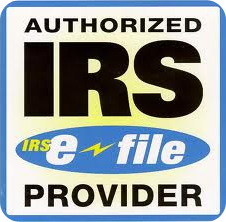 The IRS more than doubled the level of employees dedicated to working identity theft cases between 2011 and 2012. As the IRS enters the 2013 filing season, we now have more than 3,000 employees working identity theft issues. Despite these efforts, the IRS continues to see a growing number of identity theft cases. These are extremely complex cases to resolve, frequently touching on multiple issues and multiple tax years. Cases of resolving identity can be complicated by the thieves themselves calling in. Due to the complexity of the situation, this is a time-consuming process. Taxpayers are likely to see their refunds delayed for an extended period of time while we take the necessary actions to resolve the matter. A typical case can take about 180 days to resolve, and the IRS is working to reduce that time period. While the identity theft cases are being worked, the IRS also reminds victims that they need to continue to file their tax returns during this period. For victims of identity theft who have previously been in contact with the IRS and have not achieved a resolution to their case, they can contact the IRS Identity Protection Specialized Unit, toll-free, at 800-908-4490. If victims can’t get their issue resolved and are experiencing financial difficulties, contact the Taxpayer Advocate Service toll-free at 877-777-4778. It is a top priority for the IRS to help victims and reduce the time it takes to resolve their cases. In addition, the IRS continues to aggressively expand its efforts to protect and prevent refund fraud involving identity theft before it occurs as well as work with federal, state and local officials to pursue the perpetrators of this fraud. For more information, see the special identity theft section on IRS.gov and IRS Fact Sheet 2013-2, IRS Combats Identity Theft and Refund Fraud on Many Fronts.